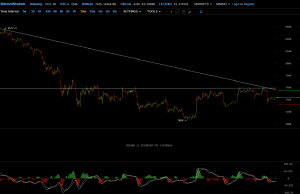 Bitcoin is nearing an intersection of key resistance. The integrity of this level could determine the intermediate term direction of the cryptocurrency. The trend for the last month has been lower. A steady series of lower highs and lower lows can be seen on the daily chart. 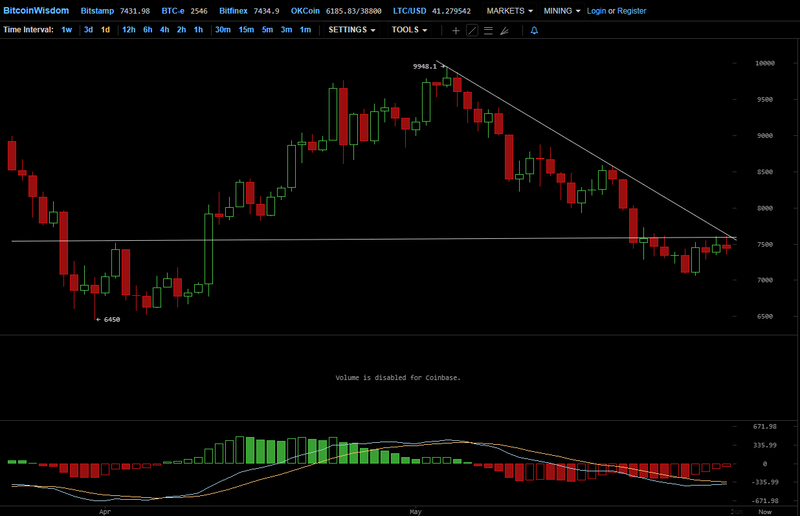 They have delineated a well-defined downtrend line that was tested and held in mid-May. 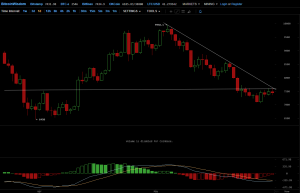 The downtrend line which is situated in the 7600 area was retested again in Friday’s session. 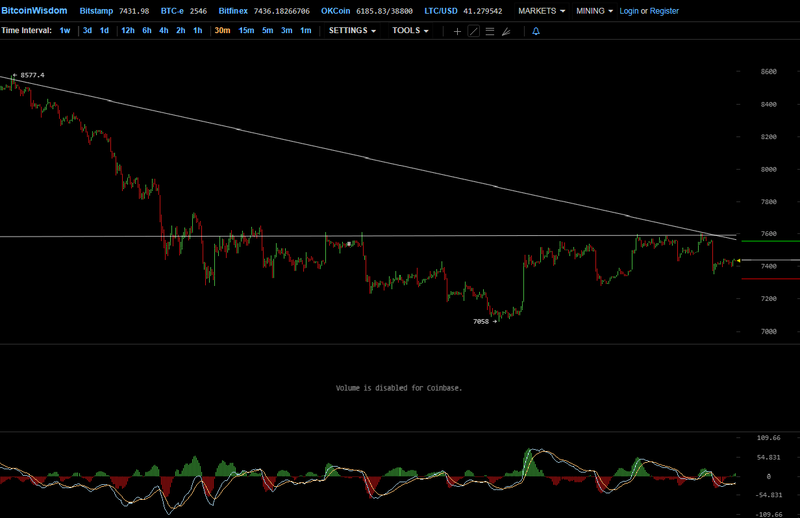 This downtrend line is being currently reinforced by an intersecting horizontal line of resistance. On the 30 minute timeframe, the horizontal resistance line can be seen as the neckline of an inverse head and shoulders pattern. An inverse head and shoulders pattern is a basing pattern that normally precedes bullish reversals in price. The left shoulder low formed on May 24th, the head on May29th, and the right shoulder has been under construction for the last several days. The inverse H&S pattern formation has an upside price objective measured by taking the height of the pattern and adding it to the neckline. This targets the 8151 area. It is not much in the way of a measured move but it is the penetration of this key intersection of resistance that is technically significant. Of course, the basing could continue below the neckline and extend past this intersection in time and price. A sustained breakout above this key level of resistance, however, would suggest a positive shift in the intermediate term trend.